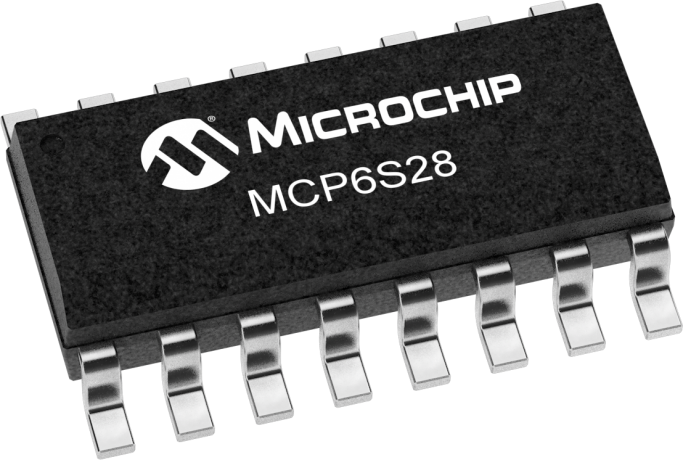 The MCP6S21, MCP6S22, MCP6S26, and MCP6S28 Programmable Gain Amplifiers offer 1, 2, 6 or 8 input channels respectively and eight steps of gain. These devices are programmable over an SPI bus and thus add gain control and input channel selection to the embedded control system. This is all achieved in one simple integration that allows for considerable greater bandwidth at a low supply current.